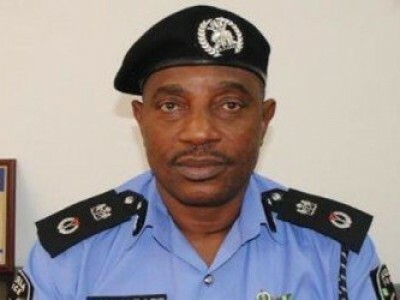 The Inspector General of Police, Mr Solomon Arase, on Tuesday apologised to members of the public for police high-handedness and misconducts in the country. Arase made the apology in Port Harcourt when he toke delivery of 64 patrol vehicles donated by the Rivers State government. He said that under his watch, the police would respect the fundamental rights of Nigerians in the discharge of their duties. “The police cannot effectively police a society without the cooperation and partnership with communities it has the mandate to protect. “If we must rid the society of kidnapping, armed robbery and cultism, among others, security personnel must work with the people like their brothers and sisters. “It is through this family relationship that the police and sister security agencies can truly succeed in riding our country of crime,’’ he said. He said the police headquarters had taken steps to reduce incessant kidnapping, armed robbery and cultism in Rivers. The police chief said that proliferation of small and light arms was high in Rivers and the Niger Delta. “This was partly caused by events leading to 2015 general election which created grounds for emergence of violent gangs and groups. “Also, this event created security gaps that led to formation, operation and rise of cult groups with violent orientation and criminal disposition,’’ he said. He said these vices necessitated the need why the Police Command in Rivers declared a one-month emergency on violent crimes. Arase said the one-month emergency had stemmed the tide of armed robbery, kidnapping and cultism, adding that the emergency had been extended to one month. He promised to use his experience as a former Head of Intelligence and Investigation to improve policing in the country. Responding, Gov. Nyesom Wike of Rivers, said that the 64 patrol vehicles donated to security agencies would be deplored for 24 hours patrol in the state. Wike said government and the police would no longer wait until criminals strike, saying the war would be taking to the criminal hideouts. “Henceforth, families of any policeman who loses his or her life while carrying out his or her duties will receive five million naira compensation. “While, one million naira will be given to anyone who gives useful information to the police and other security agencies in the arrest of criminals,’’ Wike said. Wike said the police would receive 30 patrol vehicles while other sister security services would get 34 vehicles in the joint task force security patrols.